Rockville Nights: FREE PANCAKES IN ROCKVILLE TODAY AT IHOP! 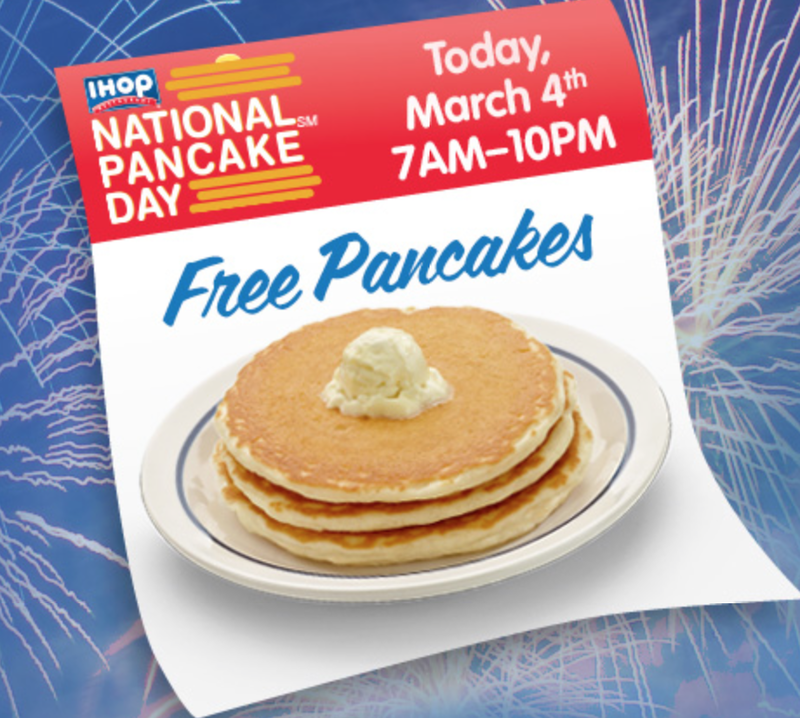 Enjoy a FREE short stack of 3 pancakes at IHOP today, March 4! Today is IHOP National Pancake Day, from 7 AM to 10 PM at participating locations. All IHOP asks in return, is that you consider making a donation of any amount to Children's Miracle Network Hospitals. The money you donate will stay in the area, to help children in need at Children's National Medical Center (a.k.a. Children's Hospital) in Washington, D.C., a member of the CMN hospitals.